When it comes to food and drink, there’s plenty to do in Chicago this week. From the Chicago Donut Fest to a market for vegans, here’s how to add some flavor to your social calendar. First off, raise a glass this Tuesday in honor of the Green City Market’s 20th birthday. Head to The Basement at Lagunitas, enjoy brews, bites and birthday cake and support a good cause. Stick around for raffle prizes that include a cooking class for two at The Chopping Block. Proceeds will support the Market’s Edible Education programs. When: Tuesday, April 2, 5:30-8:30 p.m.
Where: Lagunitas Brewing Company Chicago, 2607 W. 17th St.
Chicago Donut Fest – A River North Donut Tasting! Next, this Saturday there’s the Chicago Donut Fest at Old Crow Smokehouse featuring some of the city’s best bakeries and hidden gems. 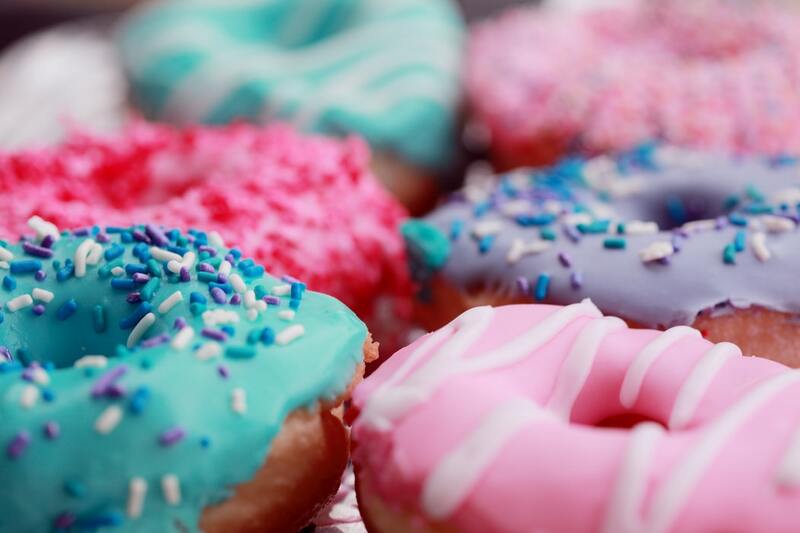 Whether you like your doughnuts glazed, powdered or filled with jelly, get your sugar fix at this 21-and-over event. One ticket includes doughnut tastings and three drinks, plus your choice of beer or mimosas. When: Saturday, April 6, 10 a.m.-3 p.m.
Where: Old Crow Smokehouse River North, 149 W. Kinzie St. Calling all “Game of Thrones” fans! Come out to Wrigleyville this Saturday for “A Crawl of Ice and Fire” bar crawl to celebrate the final season’s premiere. Enjoy themed drinks like “Dragon’s Breath” and “Walker’s Brew” and the the chance to win raffle prizes like an autographed script of the pilot episode. Proceeds will benefit K9forKeeps, Lakeview Food Pantry and the 100 Club of Chicago. When: Saturday, April 6, noon-8 p.m.
Last but not least, enjoy all things vegan this Sunday at Spring Fling. Indulge in vegan treats and shop cruelty free goods and wellness products at Emporium Chicago Arcade Bar. Participating businesses in this all ages event include Belightful Bakery, Vegan Street Food by Chef Juan, Amor Y Sofrito Catering, Rootid Jewelry, Mojo Owl and more. When: Sunday, April 7, 11 a.m.-4 p.m.
Where: Emporium Logan Square, 2363 N. Milwaukee Ave.